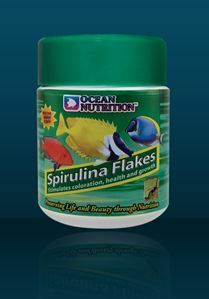 If ingredients such as salmon, brine shrimp and krill were not enough, we’ve added Spirulina to this exceptional flake. 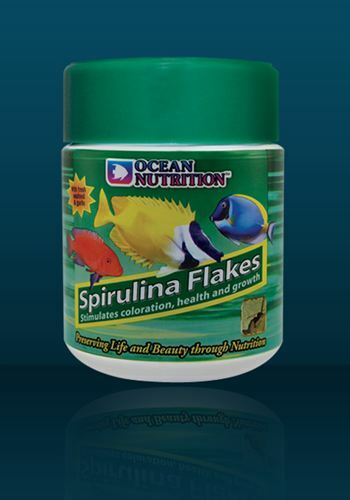 Ideal for both freshwater and marine fish, Spirulina will enhance the color, stimulate the immune system and ensure better growth with less body fat. 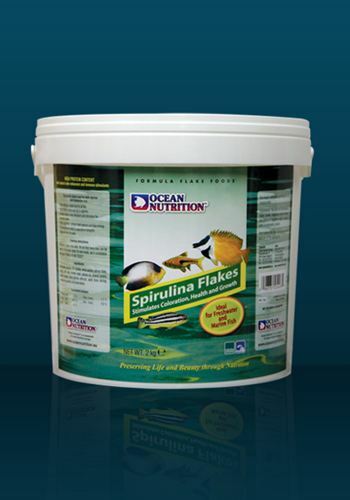 Spirulina contains the most remarkable concentration and combination of nutrients in any food, plant, grain or herb. Feed as much as you fish will eat in 2-3 minutes. Distribution 3-4 times per day. Fish fillets, Spirulina, wheat flour, marine algae, wheat gluten, krill (Euphasia pacifica plankton), refined fish oils, lecithin, adult brine shrimp, garlic, yeast (ß-glucans), brine shrimp nauplii, vitamins (retinol (vitamin A), cholecalciferol (Vitamin D3), tocopherol acetate (Vitamin E), L-ascorbic acid Phosphate (Vitamin C), menadione (Vitamin K3), thiamine mononitrate (Vitamin B1), riboflavin (Vitamin B2), pyridoxine (Vitamin B6), cobalamin (Vitamin B12), biotin (Vitamin H), pantothenic acid (Vitamin B5), folic acid (Vitamin B11), niacin (Vitamin B3)), minerals, antioxidants, carotenoid pigments. The high digestibility of Spirulina is due to the fact that Spirulina cells do not have cellulose walls. Some fish like eating vegetable, is this true? Do I need to vary my fish’s diet? Why should I use the feeding station? Correct. Even the more omnivore cichlids will eat some veggies. The key here is to present and prepare the vegetable the right way. Spinach or salad leaves need to be blanched before being placed in your tank. Blanching consist of rinsing under hot water. 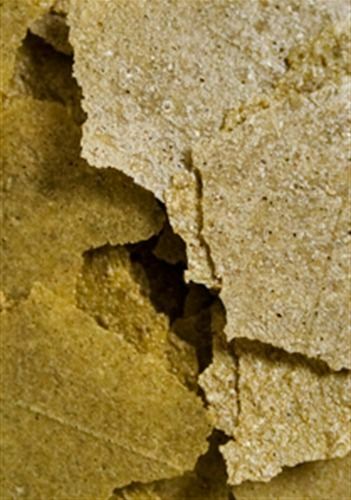 This process will break the cell walls to allow better digestion. Our Seaweed range offers you versatility and variety all in one. To avoid algae or spinach leaves clogging up filters or overflow pipes we strongly recommend using our seaweed or grid feeding clips. ‘Vegetarian’ fish will graze all day and will feed whenever they want. Put it this way… Would you like to eat mash potatoes every day? In principle our flakes and pellets are manufactured to meet all your fish’s dietary requirements. Your fish will live perfectly happy if fed exclusively on our flake range. By combining frozen formulas feeds and the appropriate flakes or pellets, you will bring a little more excitement in your fish’s life. For instance, its well known in the hobby that daphnia (frozen) can trigger breeding responses. Variation in a fish’s diet is not only changing flakes and frozen food but also the way of presenting food. Tools such as our grid feeder for example encourage fish to feed in a ‘natural way’. There are several reasons why one can use the feeding station. For instance it’s a good idea to use is if your tank is equipped with an over flow type set-up. It will reduce the amount of uneaten food going straight into the filter. Competition at feeding time can sometimes be quite fierce in the tank so it’s also a good tool to create a diversion and target the slower moving fish. Any flake can be used in conjunction with the feeding station.